A new CNN report offers some indication of how the Trump family’s new Washington, D.C., hotel fared during the first year of Donald Trump’s presidency. 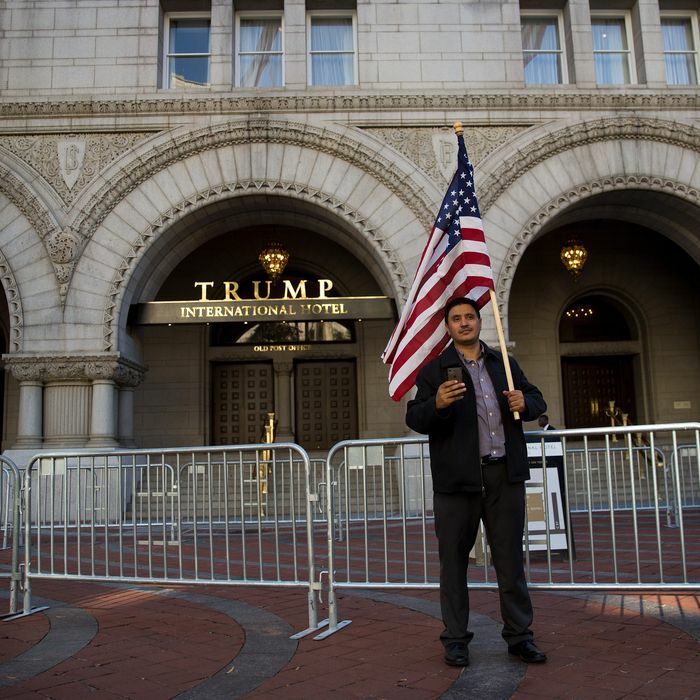 Compared with a group of almost two dozen luxury hotels in the D.C. area, the Trump International Hotel’s 50-percent average-occupancy rate through November 2017 lagged about a third behind its peers, while the hotel’s $559 average daily rate was about 40 percent more expensive. It’s difficult to say how profitable the hotel was over this period, since the higher prices, as well as revenue from events or other facets of the business, could have offset room vacancies. According to information accidentally released online by the federal government last year, the hotel made roughly $2 million in profit in the first four months of 2017. Much to the chagrin of government-ethics experts, it’s not clear how much money special-interest groups or foreign governments have spent at the hotel in possible attempts to ingratiate themselves with Trump and his family. Trump-friendly political groups have made the D.C. hotel their haunt. A Trump lawyer once said that all Trump Organization businesses would donate their profits from foreign governments to the U.S. Treasury, but that plan appears to be on hold, at best. Trump transferred his Trump Organization assets, including the Trump International, into a trust after being elected, but can dissolve it whenever he wants. There is little stopping Trump from being able to benefit financially from his family businesses. If foreign entities are indeed spending money at the Trump International, it might be very much needed for the company, since Trump-branded properties are unlikely to escape their connection to the historically unpopular president. Users on Yelp have heavily criticized the hotel, and protesters have projected anti-Trump messages onto its facade. In November, the owner of the building housing Trump’s SoHo hotel in Manhattan paid the Trump Organization to vamoose. Business had dried up following President Trump’s election and subsequent downward spiral in popularity.